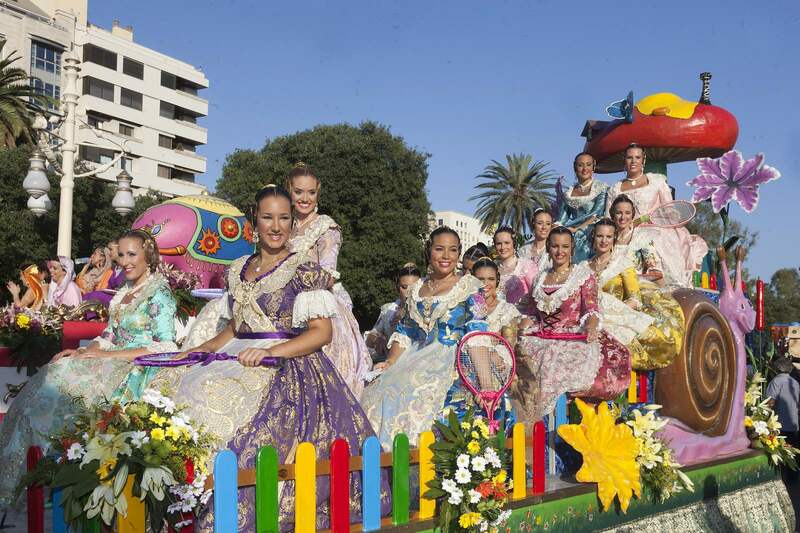 The first July Fair was held in Valencia in Valencia in 1871 and lasted for just few days in 2015. 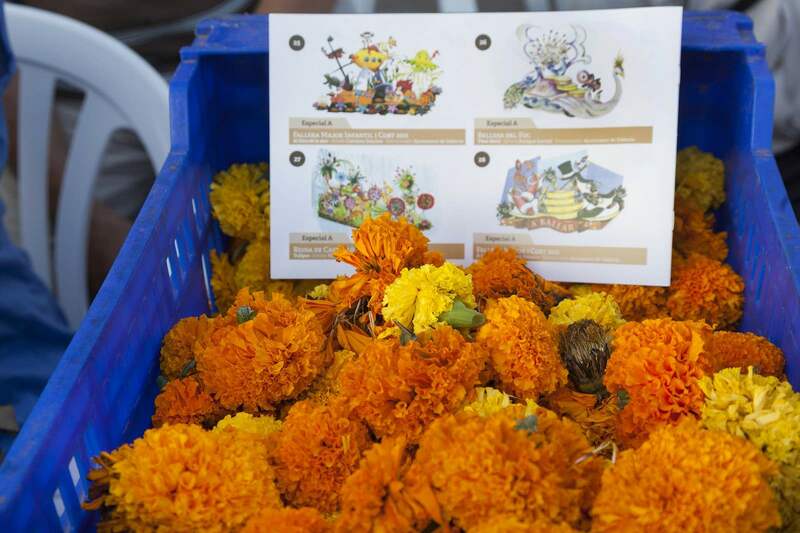 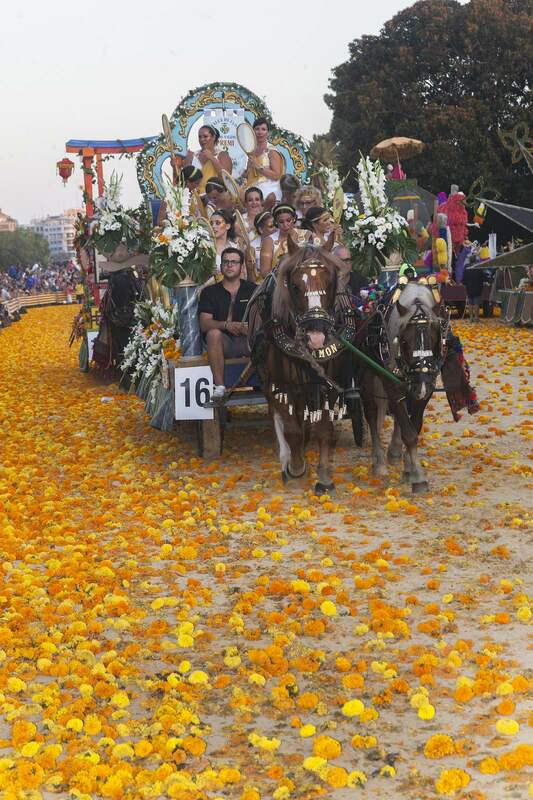 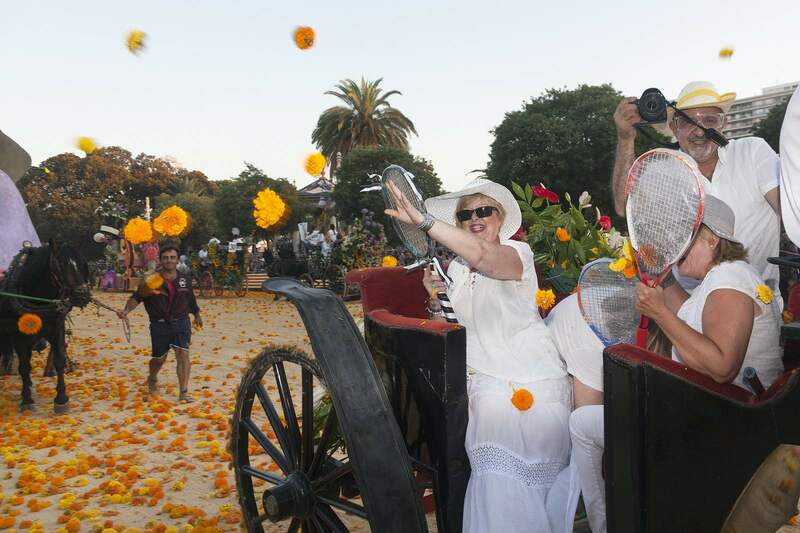 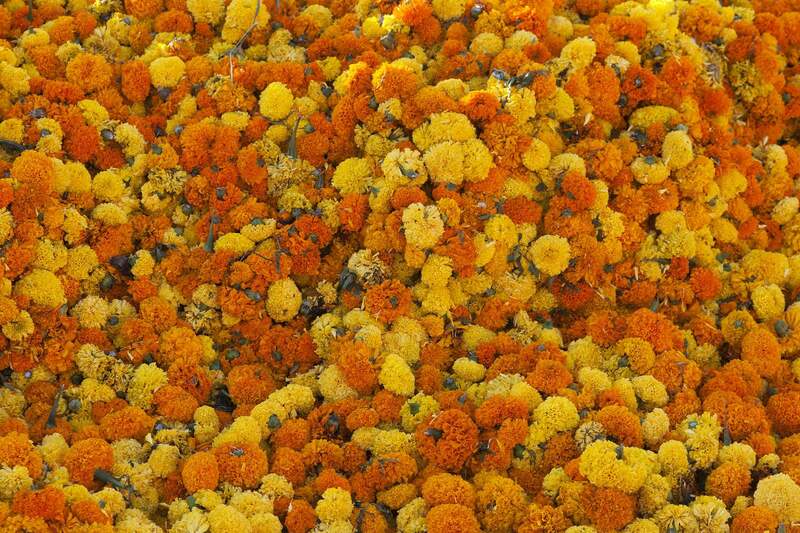 More than a million marigolds fly through the air at the traditional Battle of the Flowers. 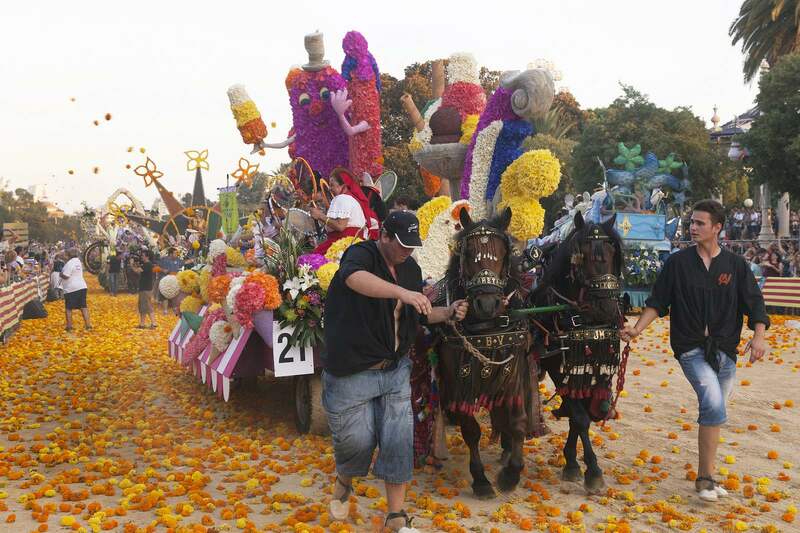 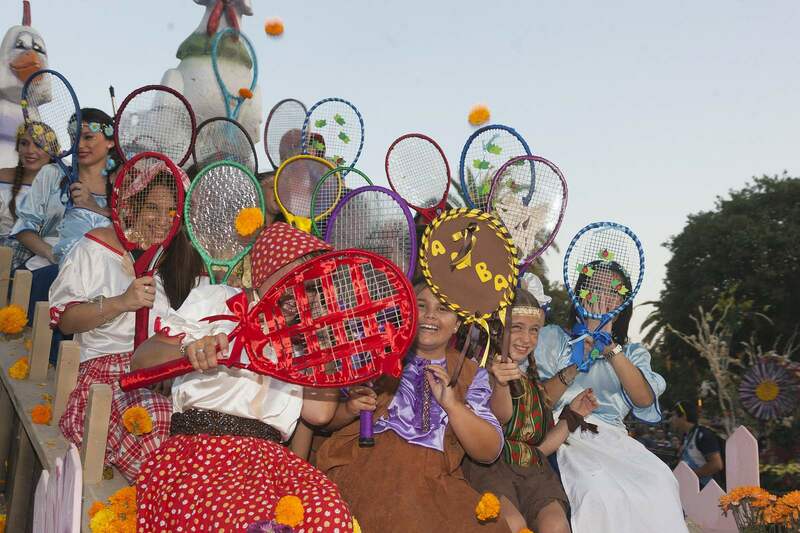 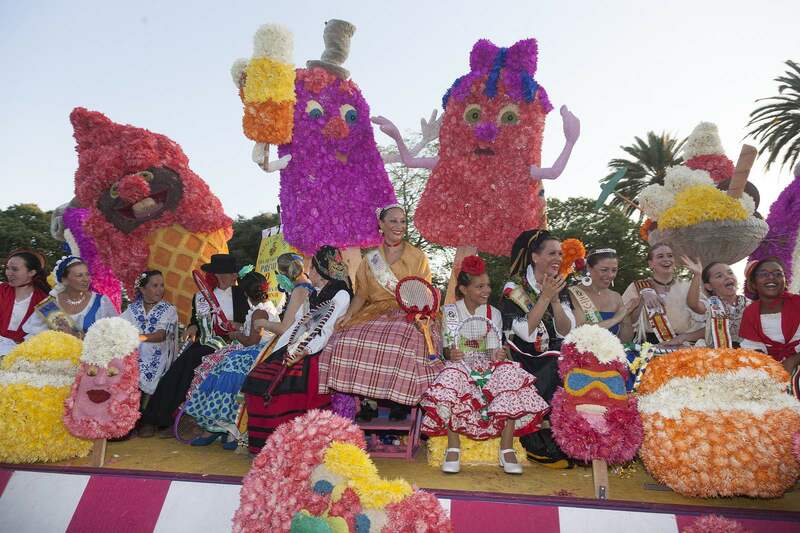 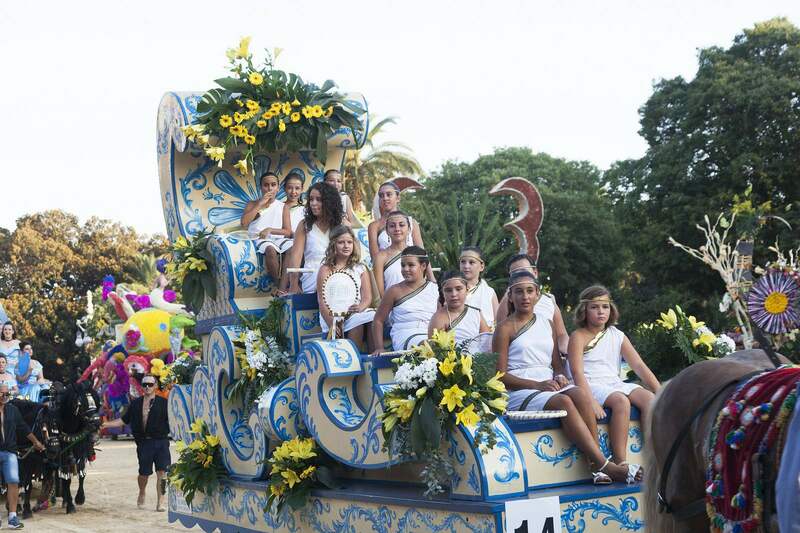 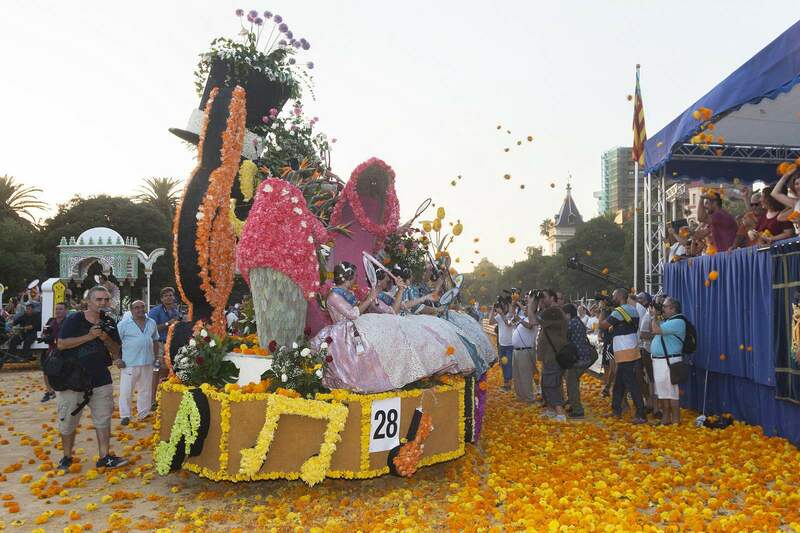 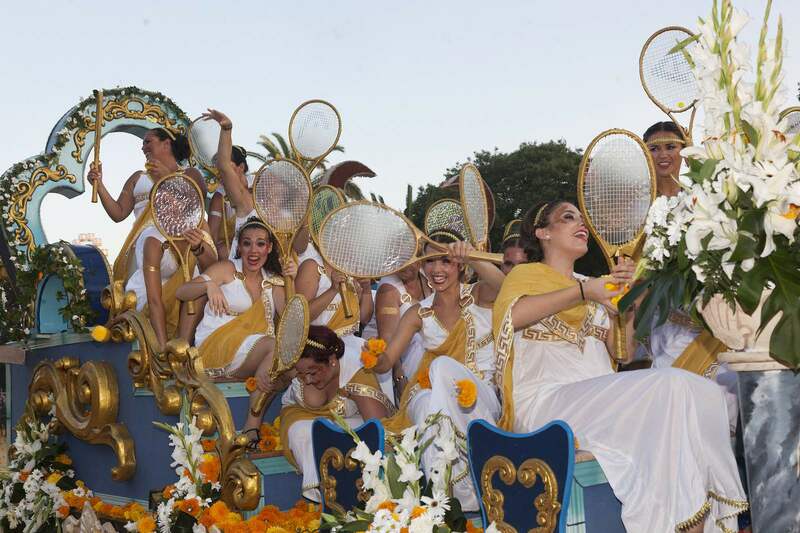 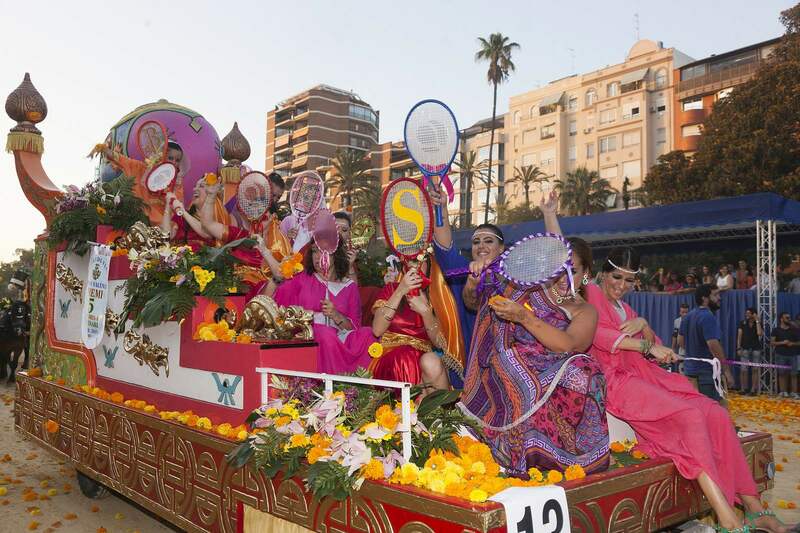 Elaborately decorated floats pass up and down the Paseo de la Alameda in the city centre, as crowds throw flowers at their occupants. 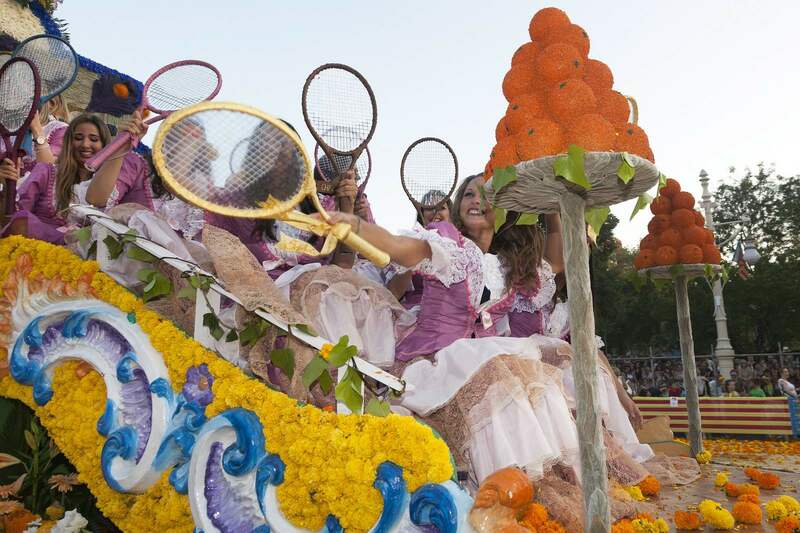 They in turn attempt to defend themselves with tennis rackets and other improvised shields , whilst returning fire with more orange and yellow blossoms.